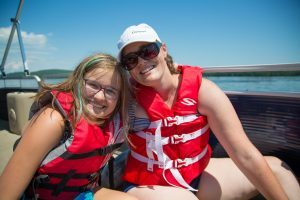 Children who will thrive at Camp Alsing are socially interested, but need some support in navigating relationships and being more flexible. 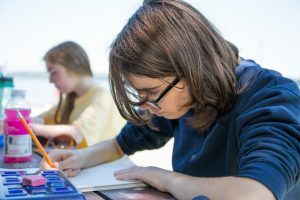 Some campers may come to us with social communication challenges that don’t fit a diagnosis or label, and others may have been identified as having Social Communication Disorder, Asperger’s Syndrome or High-Functioning Autism. Camp Alsing is a co-ed residential summer camp where children can paddle a canoe, cook over a campfire, sing songs, and just be themselves. 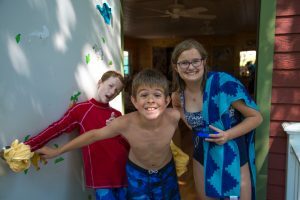 Alsing campers are enthusiastic and interested and become more connected and flexible through our intentional program of fun and engaging activities that deepen social communication skills and start friendships. Everyone should experience the magical moments of camp in a fun and accepting environment. At Camp Alsing we embrace our campers’ unique interests and needs. Our mature, trained counselors guide campers through social challenges as they arise, support the teachable moments when they occur and provide an environment that stretches camper’s boundaries in a safe supportive way. At Camp Alsing we help your child explore, grow, and soar.